Espresso Science – Page 2 – Shots of science, full of flavour. 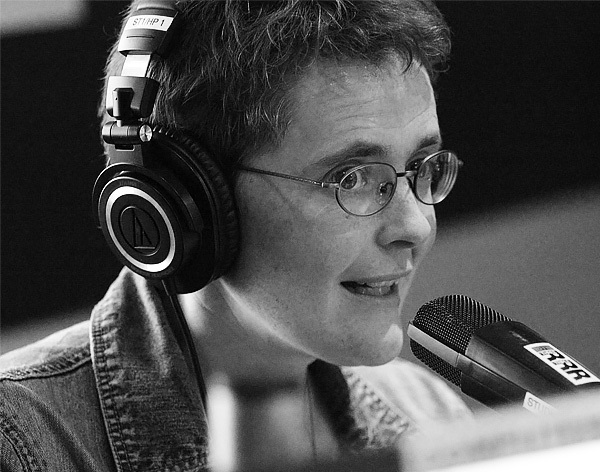 With Dr Jen from Triple R.
Are you irresistible to mosquitos? We all know someone who gets covered in bites every time they venture outside. Why are some of us so much tastier than others? Only female mosquitos bite: they need the protein that comes from a blood meal to make their eggs. But there are thousands of species of mosquito, and they have different ideas about who and what is tasty. Some prefer birds, some frogs, some reptiles and some choose to bite mammals. And as we know only too well, some are particularly fond of humans. Mosquitos are attracted to body heat and carbon dioxide, which we breathe out. That makes good sense: warmth and carbon dioxide are reliable signs that a body contains blood. So anything that increases your body temperature or makes you release more carbon dioxide will make you more of a target. This includes having a bigger body, being pregnant, or exercising. But once a mosquito gets a bit closer there are a variety of factors that make you more or less appealing. The bacteria and chemicals we carry on our skin and that we release in sweat play a big role. In one study, researchers identified 300 different chemical compounds on skin that may play a role in attracting or repelling mosquitos. Given mosquitos are responsible for the spread of some serious diseases – like malaria, yellow fever, dengue, Zika and Ross River fever – there has been a lot of research into what attracts them. After all, mosquitos are famous for being the ‘deadliest animals’. First of all, there’s no good evidence that anything you eat or drink changes how attractive you are to mosquitos. 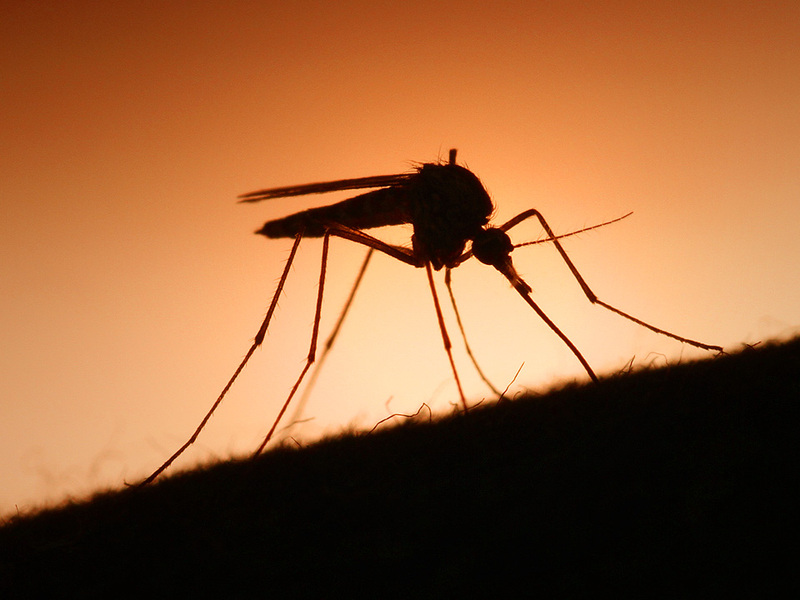 Taking Vitamin B tablets will not keep mosquitos away. Nor will eating garlic. But one small study did suggest drinking beer may make you more appealing to mosquitos. One of my favourite studies of mosquito preferences compared mozzies’ responses to human hands, socks that had been worn for three days and Limburger cheese – that’s the REALLY smelly one. Human hands got the most interest from the mosquitos. But the smelly socks were a big drawcard too – we know mosquitos respond to our sweat. Lactic acid attracts mosquitos – another reason why exercising is likely to make you more of a target. There’s also evidence some species of mosquito are attracted to people who have O-type blood. And research published a couple of years ago showed our genes also play a role in our mosquito magnetism. The study showed identical twins were equally attractive to mosquitos, but non-identical twins weren’t. There’s a lot more work to be done on understanding the role of genetics in how mozzies respond to us. If mosquitos happen like you a lot, what are your options? A study published earlier this year set up a wind tunnel in a lab designed to replicate a backyard patio. One unlucky person acted as bait at one end of the tunnel while the scientists counted how many yellow fever mosquitos moved towards the bait. The researchers tested a variety of repellents on the human bait: sprays, wearable devices and a citronella candle. Most of them only had a weak effect, or no repellent effect. Neither bracelets containing herbal extracts or sonic mosquito repellers worked at all. Citronella candles were no good either: in fact, they might slightly attract mosquitos. But DEET and the oil of lemon eucalyptus both reduced mosquito attraction by 60%. Another study showed that while mosquito coils may reduce the number of mosquito bites, they don’t stop people getting malaria. Australia’s mozzie expert Dr Cameron Webb has explained there are a variety of ways to avoid having your Christmas barbeque spoiled by mosquitos. For example, get rid of any places in your garden they could breed – bird baths, and other water-filled containers. Wear loose clothing and apply mosquito-repellents properly. And the other thing to remember is that you may not be getting bitten more than your friends, you may just have more of a reaction to bites. Mosquitos inject saliva when they bite and you may react to that saliva more than others. So if you’ve got a friend who is bragging about how they never get bitten, let them know they may very well be wrong. Something that could really matter when it comes to travelling in places where the mozzies carry nasty diseases. We all have a bubble around us, a sense of personal space we don’t like to have invaded. How close are you happy to stand next to a friend? A stranger? And how is your comfort zone influenced by your nationality? Remember Elaine’s ‘close talker’ boyfriend on Seinfeld, who stood too close? So close that Kramer fell over trying to get away? Most of us have experienced meeting someone who just doesn’t seem to get personal space. It’s an icky feeling to have someone insist on standing too close. Especially when your backwards shuffle simply results in them stepping forward to close the gap. Psychologists have been studying personal space since the 1960s, and we know quite a lot about it. You can think of personal space as the area around your body that you consider being psychologically yours. One study in the 1970s observed how long it took men to start peeing depending on how close the nearest occupied urinal was. But personal space is an immensely variable thing. It changes, depending on where you are and who you’re with. Most of us will put up with standing much closer to a stranger on a crowded train than we would at other times. In 1963, Edward T. Hall defined four ‘bubbles’ each of us perceives. Our intimate bubble (15 – 45 cm) is reserved for family, pets and closest friends. Next is our personal space (45 cm – 1.2 m), for friends and acquaintances. But we feel very uncomfortable if a stranger enters that zone. Then there’s social space (1.2 m – 3.6 m), fine for both new acquaintances and strangers. Finally, we all have a sense of public space, shared by all. But this was a study of white American men. And it turns out where you’re from affects your preferred personal space. In a study published earlier this year, researchers asked almost 9000 people from 42 countries to say how close they would be comfortable standing to a stranger, an acquaintance and a close friend. Within each country, women and the elderly needed more space to be comfortable. But there were striking patterns across nationalities. Of the 42 countries included, Romanians had the largest personal space and Argentina the smallest. In Romania, people preferred to be almost a metre and a half from strangers, whereas Argentinians were happy to be about 80 cm from a stranger. The researchers suggest this is because warm weather makes us feel socially closer. Beer garden, anyone? (Their alternate theory was that people living in warmer climates would stay well away from other people to reduce the risk of sharing parasites). Interestingly, Romanians were very happy to be close to an intimate friend (50 cm). And Norwegians like to be even closer: 40 cm from a close friend. Maybe cold weather prompts us to want to get cozy with our nearest and dearest. Unfortunately, Australians weren’t part of the study, but both England and the USA came out somewhere in the middle of the 42 countries, with Americans being happier to stand a bit closer to others than the Brits. In monkeys, the area of the brain called the amygdala is involved in a sense of personal space. The amygdala plays an important role in memory, decision making and in our emotions. SM suffered major damage to the amygdala on both sides of her brain and can’t easily recognise the expression of fear in other peoples’ faces or judge the trustworthiness of other people. She also virtually never experiences fear herself. Scientists discovered SM felt comfortable standing just over 30cm from another person and it didn’t matter how well she knew the person. Standing nose-to-nose with someone, even a stranger, didn’t make her uncomfortable. On average, other people in the study preferred to be just over 60cm from others. Experiments showed just the idea of someone standing close by is enough to make our amygdala fire up. But next time you’re travelling, perhaps you can challenge your amygdala and do some experiments. Especially if you happen to be in one of the many countries not included in the study. Let’s fill the gaps. Do dogs understand our emotions? Dogs give the impression of understanding our every word. How well can dogs read our emotions, and can they really smell fear? Anyone who grew up with, or has a pet dog will agree: dogs have an amazing ability to make us feel understood. It’s in the way their eyes study us intently, often with a sympathetic tilt of the head. Dogs tend to stay close when we need comfort and are masters at reading our body language. It’s easy to imagine dogs understand exactly what we feel. But how much is that a case of wishful thinking? Scientists are still trying to work out exactly how long ago wolves evolved into domesticated dogs, but we know it was tens of thousands of years ago. That’s a long time for humans and dogs to get to know one another. As you’d imagine, there’s been plenty of research into our relationship with man’s best friend. For example, we’ve studied the way dogs respond to our language, voices, body language and emotions. So just how well do dogs understand us? Dogs are highly tuned to our faces. They use faces to recognise their owners and look particularly to our eyes. Eye-tracking studies show dogs follow our gaze to the same degree as six-month-old babies. Tell your dog not to take a piece of food and then close your eyes. Your dog is more likely to steal the food if your eyes are closed than if you are simply distracted or have your back turned. Worth remembering next time there’s birthday cake on the table. And just as dogs are tuned into us, dogs have their own facial expressions. We know shelter dogs with a particular facial expression (raised inner eyebrows) are more quickly adopted by new owners. We also know dogs’ faces are more expressive when we pay attention to them. So it’s possible dogs have evolved to use their facial expressions to communicate with us. But contrary to what you might expect, although dogs’ facial expressions changed when a researcher paid attention to them, dogs didn’t use a cute begging face when there was food around. Dogs also appear to show empathy; dogs pay more attention to people when they are crying than when they talk or hum. And dogs will sniff, nuzzle and lick a person who is crying, even if that person is a stranger. The fact yawns are contagious has been proposed to be a form of empathy and dogs also ‘catch’ human yawns. Researchers have proposed dogs also have a sense of morality, at least similar to that of babies. One experiment found dogs shun people who won’t help their owners. Sounds are also important to dogs – they can tell the difference between happy and sad sounds. This research suggested dogs might also ‘catch’ emotions both from humans and other dogs. We also know dogs are able to distinguish between the tone of voice we use and the words we say: researchers scanned dogs brains and found different parts of the brain were involved in processing words and processing how we say those words. Put sounds and faces together and dogs really stand out in their abilities. A study published last year showed that dogs are the only animals (other than us) able to interpret and recognise emotions from both faces and sounds together. 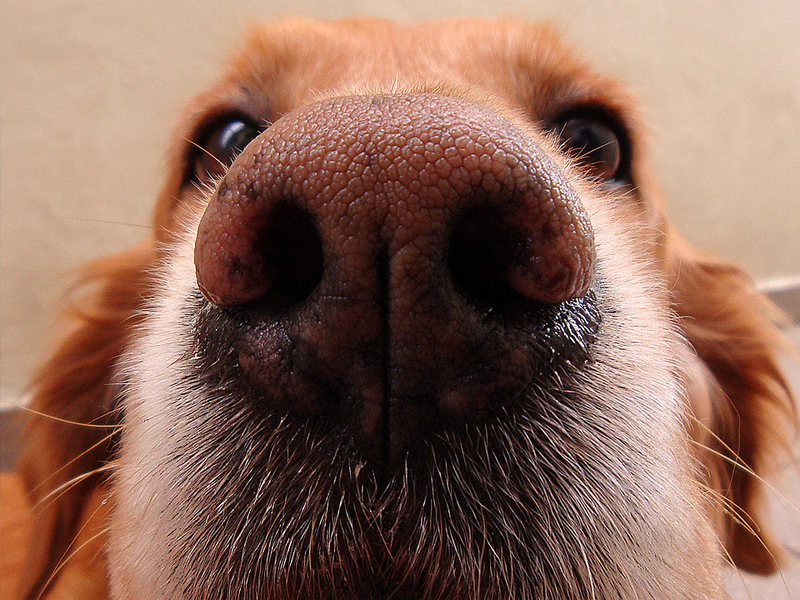 Dogs are renowned for their incredible sense of smell, and it’s commonly said dogs can smell fear. But until recently we didn’t have a lot of evidence. As part of a recent study, volunteers watched videos designed to make them feel happy, scared or neutral. The researchers then collected samples of these volunteers’ armpit sweat. Labradors and golden retrievers behaved differently depending on whether they smelled happy or scared sweat. When they were exposed to fear smells, the dogs showed signs of stress. Their heart rates went up, they looked for more reassurance from their owners and were less likely to interact with strangers. But the happy smells made the dogs more likely to approach and interact with strangers – more sociable – and less reliant on their owners. So dogs are not only able to smell fear, but it appears they may adopt our fear too. No wonder we love them so much. It’s tempting to think the way you write – big or small letters, straight or on a lean, with or without swirls, neat or messy – says something about your personality. But is there any truth to handwriting analysis? At first glance, the idea that personality is reflected in handwriting does have some appeal. After all, each of us has our own very personal writing style so perhaps the way we write is influenced by our personality. 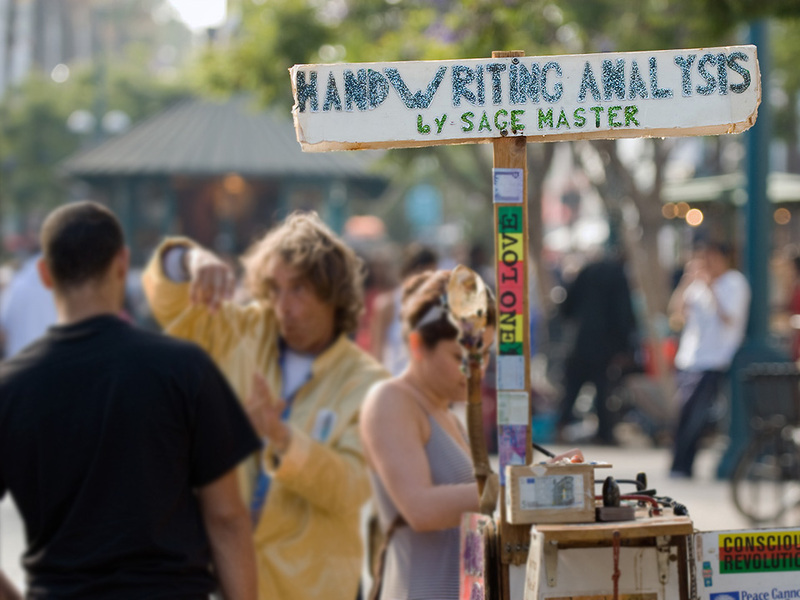 Handwriting analysis – known as graphology – has been around for centuries. What we think was the first book proposing a link between handwriting and personality was published in 1575, by Spaniard Juan Harte de San Juan. Graphology really took off in the 19th century, led by Jean-Hippolyte Michon. For example, Michon claimed ‘all weak-willed people cross their t’s feebly’. Edgar Allen Poe wrote a series analysing the handwriting of prominent writers. Research published in 1948 declared “it will be possible (within a not too distant future) to devise a psychodiagnostic test based upon handwriting analysis which will satisfy scientific standards”. The British Institute of Graphologists claims ‘your handwriting gives the story of yourself’ and one popular infographic claims handwriting indicates more than 5000 personality traits. Handwriting analysts are always keen to discuss the handwriting of political leaders and incidently, Trump also declared himself a handwriting analyst. 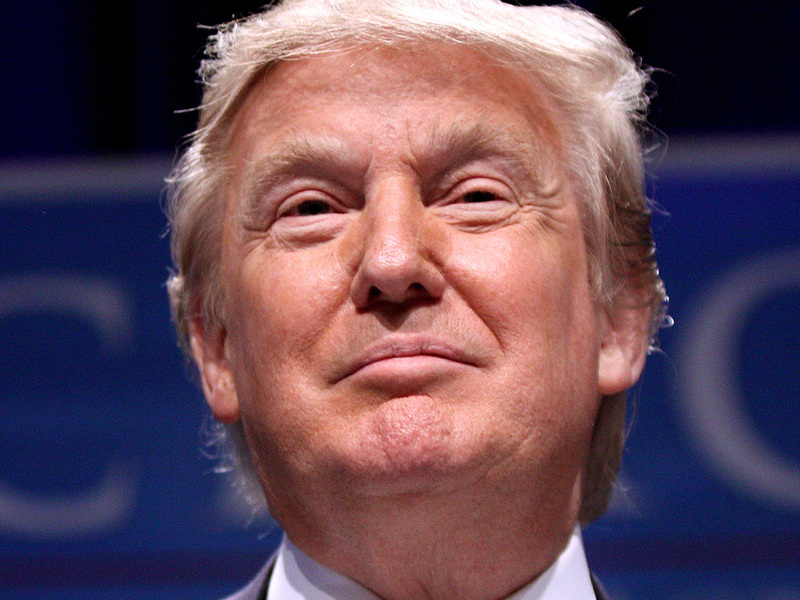 If you Google graphology you’ll find well over a million results. A number of them, even from what I would consider fairly reputable sites, support a link between handwriting and personality. There’s a TEDx talk, a recent article in Business Insider Australia and in the New York Times. A piece in the Guardian from only eight years ago discusses handwriting analysis as part of many recruitment processes, a practice apparently particularly commonly in France. And CNN also weighed in last year on the Trump handwriting discussion. But in a review of over 200 studies on graphology, the results were clear: taken together, these studies show no link between personality and handwriting. For example, we know handwriting analysis can’t detect the Big Five personality traits, a staple in modern personality testing. That’s not to say there hasn’t been the odd positive result. For example, one German study from nearly twenty years ago found a link between the personality trait of agreeableness and slower speed of handwriting. Another study suggested graphologists were able to infer extraversion from handwriting (although it raised questions about definitions of extraversion). There is also some evidence of gender differences in handwriting. But after fifty years of study, we don’t have any solid evidence that you can reliably determine a person’s personality from their handwriting. Prominent skeptic and professor of psychology Barry Beyerstein was particularly vocal in declaring graphology a pseudoscience, akin to describing a person’s personality on the basis of their skull shape. But he was also interested in why many intelligent, educated people believe in it. Perhaps it’s simply because we like the idea that our handwriting is somehow a true expression of ourselves. Interestingly, one study found students were capable of altering their handwriting in order to change their teachers’ impressions of them. That suggests we do have shared beliefs about what certain types of handwriting mean, even if they’re wrong. And we shouldn’t dismiss looking at handwriting all together: one study found a link between signature size and personality traits. People with larger signatures tended to be more socially dominant. More importantly, there’s evidence changes in handwriting can be indicative of Alzheimer’s disease and other forms of dementia. I’m happy to concede there may be occasions when scientists should analyse handwriting for health purposes. But if I’m ever asked to provide a handwriting sample with a job application, I’ll be thinking very carefully about whether I really want the job. We all speak with an accent, and we judge each other by our accents. Our accents can change gradually, or sometimes dramatically. But if you want to speak an additional language without any foreign accent, you may be facing an uphill battle. 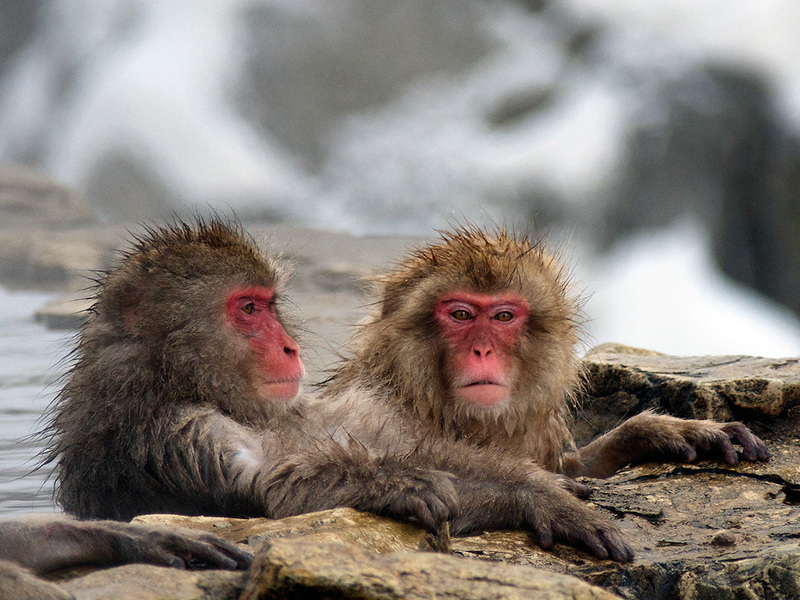 Did you know that some animals – like these Japanese macaques – have accents too? Image via Wikimedia Commons. Everyone has an accent. And I’m not just talking about humans. The clicking sounds sperm whales use to communicate with each other vary by region, and Japanese Macaques have local accents too. In fact a variety of animals have patterns to their calls that are influenced by where the animal lives – for example wolves, other monkeys and cod. There has even been research into whether a cat’s miaows are affected by its owner’s accent. 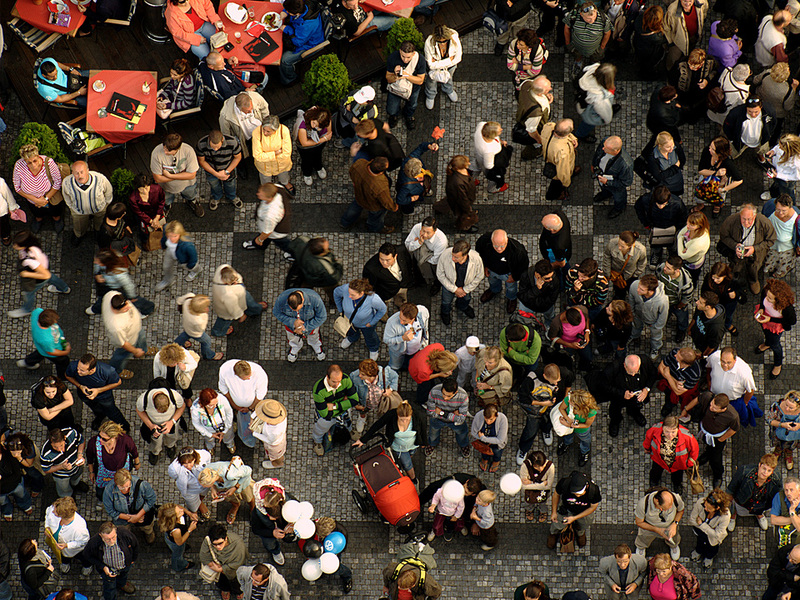 Our accents can change over time – both as individuals and as whole countries. One study observed the way reality TV participants regularly changed their accents while living in isolation together for three months. In the case of the rare foreign accent syndrome, a person’s accent can drastically and immediately change as a result of damage to the brain. 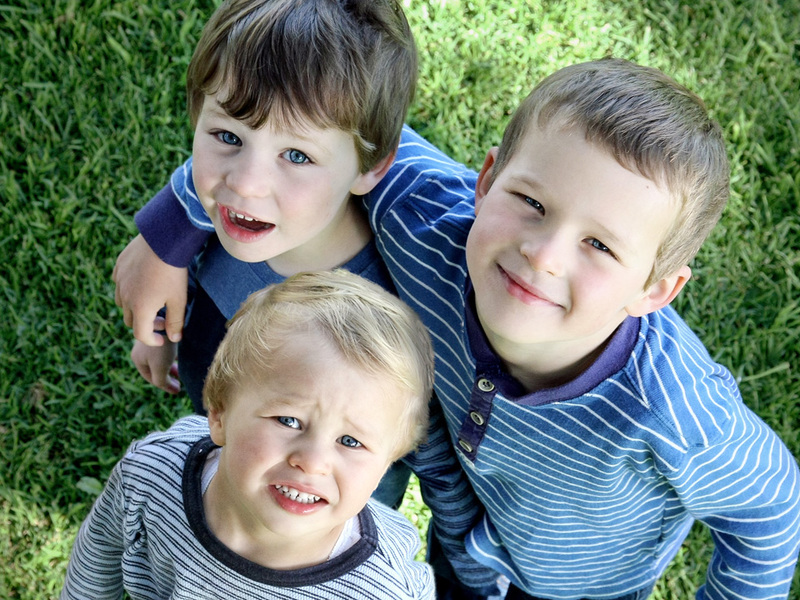 Well-known examples are an Australian who has spoken with something similar to a French accent since a car accident twelve years ago, an American who has been speaking with a Cockney accent since having a stroke and a Brit who spoke in a thick Russian accent for several years after a brain hemorrhage. The first recorded case of foreign accent syndrome was in 1941 when a Norwegian woman began speaking in a German accent after being hit by shrapnel. The story goes that she was thought to be a German spy and was shunned by the people around her. If you’re hoping to speak a second language and sound like a native, you may be running out of time. The strength of your accent is directly correlated with your age at the time you learned the additional language. Unfortunately, your ability to speak an additional language accent-free has been tapering off since puberty. If you want to speak an additional language accent-free, your best bet is to learn it before the age of six. How much of the time you continue to speak in your native language will also affect the accent you speak with in a second language. It’s difficult to sound like a native speaker when you’re not because the sounds you recognise (and will later copy) are established before your first birthday. In one study, researchers played the sounds ‘la’ and ‘ra’ to six-month old Japanese and English babies. At that age, all the babies could pick the difference between the two sounds. But at the ripe old age of ten months, Japanese babies could no longer hear the difference between ‘l’ and ‘r’ sounds, which don’t exist in Japanese. It’s amazing to think your pattern of speaking was already largely set before you spoke your first word. Here’s a sobering fact for all of us who speak additional languages with a detectable accent: speaking with an accent makes you harder to understand. And research shows we are less likely to trust someone we find harder to understand. The more severe your accent, the less credible people assume you to be. This accent discrimination may be frustrating for travellers but of course is far more damaging for immigrants. Can I borrow your accent? Do people ever tease you about the fact you pick up accents easily? You might not even be aware you’re doing it but what’s been dubbed a ‘wandering accent’ is quite common. Without intention, you mimic whatever accent you hear at the time. It’s also known as the chameleon effect. It turns out we even imitate other peoples’ speaking styles when lip reading, and not able to hear their voice. We mimic other people as a result of wanting to empathise and bond with them and imitating someone’s accent is the best way to improve your ability to understand that person. We now know exactly which part of the brain is active when impersonating someone else which may help to treat someone who has lost their own accent through foreign accent syndrome. A head’s up: if you suddenly find yourself speaking with a distinctly British accent, a whole new line of acting work may be open to you. In the movies, most villains are portrayed by people with posh British accents – also known as received pronunciation (RP). We perceive speakers with this accent as highly intellectually but low in morals. Sounds like a villainous combo to me. Ever seen Elvis in a corn chip? How about a face in a building or a cloud? Spotting faces – even ones that don’t exist – is something your brain is very good at. One of my favourite Twitter accounts is Faces in Things. You’d be amazed where people have spied faces and other human and animal shapes. You’ve probably heard about Jesus on a banana peel, the Man in the Moon and the face of Madonna on a toasted sandwich (which sold for US$28,000). We’ve seen capsicums that look like British politicians and a crab tainted with the face of Osama bin Laden. Melbournians may know the Hume Highway rooster tree, now with its own Facebook page and song. Since the 1700s, the surface of Mars has been a particularly rich source of these illusions. In 1976, people were captivated by images of a face on Mars, which turned out to be nothing more than a trick of light and shadows. Mars also boasts a smiley face in a crater, a lava flow that resembles Kermit the frog, the face of Mahatma Gandhi, a rat and Bigfoot. 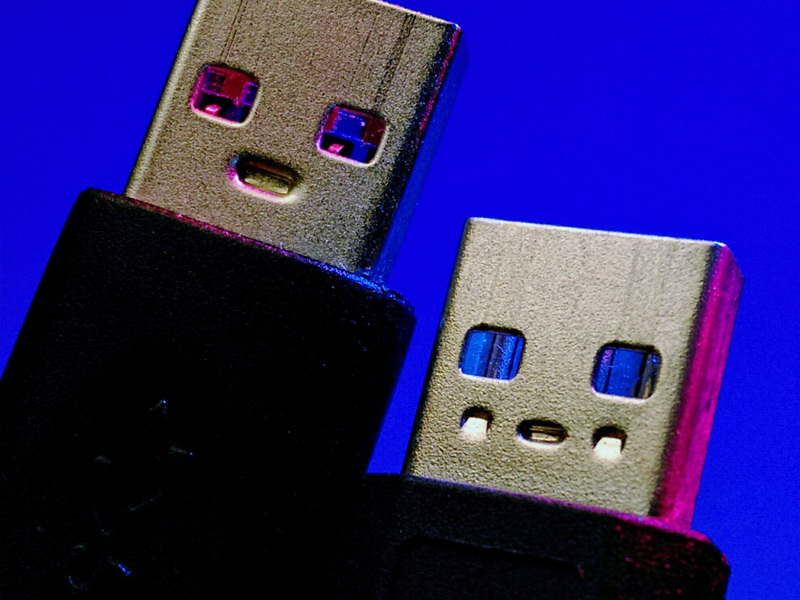 Famous cases aside, people have spied faces in power points, trees, buildings, rocks and USB drives. If you tend to see faces everywhere, don’t worry. You’re not going crazy: our brains are exceptionally good at spotting faces. It’s called pareidolia: the tendency to perceive a familiar pattern when one doesn’t exist. There are many different kinds of pareidolia, but seeing faces is the most common. Why are we so quick to see a face where there isn’t one? Simple – because we spend so much of our time looking at faces. And we’ve evolved to depend on our ability to recognise and extract information from these faces. We are hard-wired to recognise faces: our social lives have long relied on us being able to spot a face from a distance or in low light. Not only that, it’s extremely useful to be able to deduce other things from a face: mood, age, gender and the direction a person is looking. Is this person a friend, or a threat? Even as very young babies, we prefer to look at faces over non-faces. It turns out we have an entire brain area dedicated to recognising faces – the Fusiform Face Area (FFA). This area is active when we see a face, even in blind people. Research shows this area of the brain lights up in the same way when we see an illusory face as when we see a real face. The FFA is active when a person reports seeing a face, even when there is absolutely no pattern (in a pure noise image). 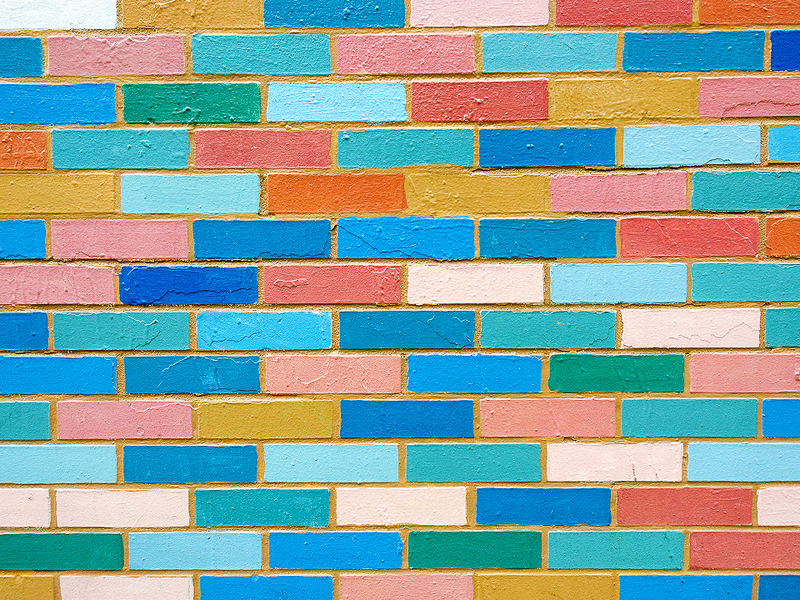 Identifying patterns is nothing new – it’s the basis of the infamous Rorschach inkblot test. But some of us are more likely to see faces than others. A Finnish study firstly asked volunteers whether they saw faces in dozens of objects and landscapes. The researchers then asked about the belief systems of the participants. Did each person believe in God? And how about the paranormal? Religious people and those who believed in the paranormal were much more likely to see faces than atheists and skeptics. ‘Believers’ were also more likely to see emotions in the illusory faces. And if you’re thinking our ability to see faces in toast, tortillas and toilets is something that makes us uniquely human, think again. Recent research shows rhesus monkeys see faces that aren’t there too. And it makes perfect sense – if a monkey thinks it sees a tiger when there’s no tiger around, it isn’t a big deal. But the consequences of not spotting a real tiger might not be so pretty. It’s not just humans who have evolved to be highly tuned to faces. Now given I’m hard-wired to spot faces, excuse me while I waste a bit more time indulging my pareidolia.